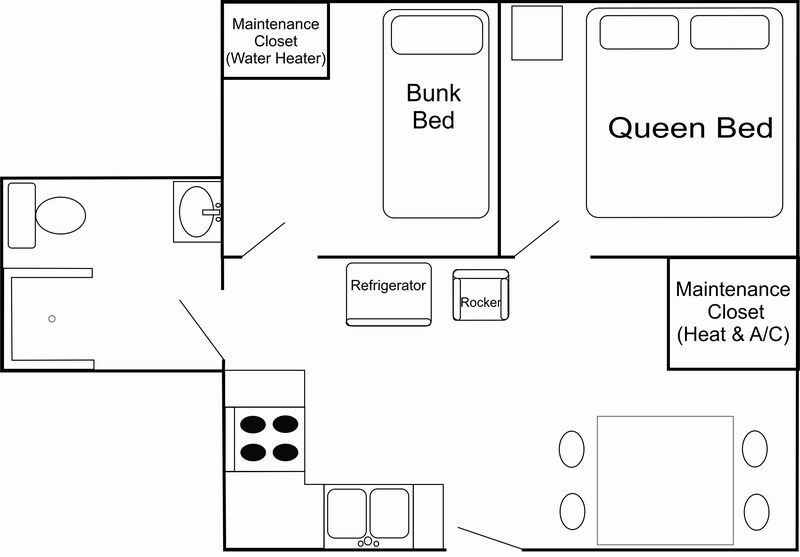 Cabin 7 has 3 beds. Cabin 7 can sleep up to 4 people. This cabin is ideal for a couple or a small family. This new charming two bedroom cabin rental is right on the waters edge of Pelican Lake. With log siding and beautiful knotty pine interior you are sure to enjoy this modern, yet cozy cabin. While listening to the waves on the shoreline don’t forget to look for the Loons and Bald Eagles that are often seen from this cabin. One bedroom has a queen bed while the other has a twin bunk bed. Cabin 7 now has air conditioning! Unlike most of our cabins, cabin 7 is rented on a 2 night minimum for our off peak seasons and our peak summer season. In 2019 cabin 7 will be available with a 2 night minimum anytime between May 24 and October 1. All cabins are non-smoking cabins and pet free. Guests at Birch Forest Lodge have free access to resort canoes, kayaks and stand up paddle boards.